Google’s Android is by far the most popular smartphone OS in India, with a record 97% market share at the end of Q2. The US investigation into its activities in Uzbekistan has prompted MTS to sell its majority holding in Uzbek operator Universal Mobile Systems (UMS) to the country’s government. The Indian government must accept responsibility for ensuring that Tata Sons pays NTT Docomo the $1.17 billion that it is owed in compensation, the Japanese operator has claimed. Approval has been granted for the proposed merger of Bangladeshi operators Robi Axiata and Airtel by the country’s prime minister. Verizon Digital Media Services has partnered with Bharti Airtel to launch new points of presence (PoPs) in four cities in India. Intex Technologies has begun sales of the first device to license Jolla’s Sailfish OS. Tele2 has selected Nokia's Cloud Packet Core solution to transform its core network to meet growing customer demand for high performance mobile broadband services. Axiata Digital and WSO2 joint venture WSO2.Telco has announced that India’s six leading mobile network operators (MNOs) are using its digital enablement hub to deliver the GSMA Mobile Connect mobile-based authentication solution. 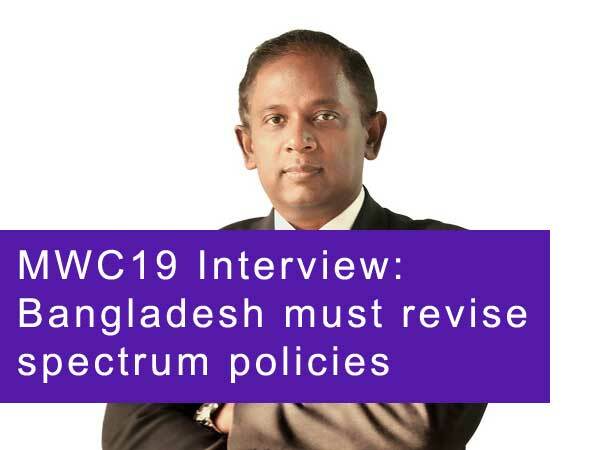 The Bangladesh Telecommunication Regulatory Commission (BTRC) has selected Anite to provide it with measurement and analytics solutions. The GSMA has launched its Mobile Connect service in India through six of the country’s operators. Telenor has ruled out its participation in India’s mammoth upcoming spectrum auction, prompting speculation that it may be planning to leave the market. Turkmenistan’s Ministry of Communications has deployed a new national backbone network with coherent DWDM, MPLS-TP, and service management technologies from Coriant. Indian market leader Bharti Airtel has signed an agreement to acquire spectrum from local operator Aircel across six of the operator’s eight regions. Bharti Airtel has tapped 5BARz International to provide its network extender device for customer service. Vodafone India is mulling an acquisition of Telenor’s Indian operations in an attempt to increase its spectrum holding. India’s impending spectrum auction is expected to bring in around INR1 trillion ($14.8 billion) from the country’s operators. Astellia has been awarded a 4G network monitoring deal by Ucom Armenia to help them guarantee the fastest 4G services in Armenia. India’s cabinet has backed a regulator proposal to auction of a huge amount of spectrum that could generate as much as a record INR5.6 trillion ($85 billion). Norwegian group Telenor was the sole applicant for Pakistan’s upcoming 850MHz spectrum auction. Indian operators Reliance Communications and Aircel have extended the exclusivity period of their merger discussions. Reliance Industries has agreed to a provisional sourcing deal for iPhones during Apple CEO Tim Cook’s first visit to India. India’s regulator TRAI is being urged to scrap a ban on differentiated data pricing by representative body for the country’s major operators. Indian market leader Bharti Airtel has launched a new private cloud service and announced a partnership with Microsoft for the firm’s Azure ExpressRoute. Indian operator Idea Cellular is launching Bango’s Direct Carrier Billing (DCB) for Google Play. The GSMA has expressed its belief that the Indian government should lower spectrum prices if it aims to meet its goals for mobile broadband penetration. Pakistani mobile operator Zong has signed an MoU with the Federal Urdu University of Arts, Science and Technology for 4G services to the university. Leading Indian operator Bharti Airtel is to redesign its online recharge and payments interface, integrating mobile wallets and allowing customers to pay for online recharges through a unified online interface. Vodafone today announced that its mobile money service M-Pesa has surpassed 25 million subscribers worldwide. Indian telecoms firm Reliance Jio has announced the launch of its 8,100km Bay of Bengal Gateway cable system, which it claims is the first dark fibre system to be lit at 100 Gbps. Malaysia-based MNO Axiata has entered the Nepal telecoms market having finalised its acquisition of the country’s leading operator Ncell for US$1.365 billion. Five operators spanning Africa, the Middle East and South Central Asia will construct a new 17,000 km submarine cable system connecting the three regions. Pakistani mobile operator Zong, a division of China Mobile, has partnered mobile payments company Fortumo to roll out direct carrier billing. Nokia is providing technology to help Idea Cellular to roll out 4G/LTE in three key Indian telecom circles. Warid Telecom is leveraging Syniverse’s IPX Network Solution and Diameter Signalling Services to enable its subscribers to access LTE services around the globe. Bharti Airtel subsidiary AMSL (Airtel M Commerce Services Limited) has received a payments bank licence from the Reserve Bank of India (RBI). Indian operator Reliance Communications is transferring 5 million CDMA customers onto its rival Reliance Jio Infocomm’s 4G network. Indian operators Aircel and BSNL have signed a nationwide inter-circle 2G roaming agreement. Indian operators Reliance Communications and Aircel have chosen to extend negotiations over a potential merger for another 60 days “based on good progress made so far”. Pakistan’s antitrust watchdog has given its provisional approval to the proposed merger of Mobilink and Warid. Reliance Communications has become the first mobile operator in India to join the Ozone Networks and Ericsson Small Cell as a Service carrier-grade Wi-Fi network. Indian market leader Bharti Airtel is spending INR44.28 billion ($659 million) to obtain spectrum in six regions from the smaller player Videocon Telecom. Multinet has commissioned SpeedCast to add satellite communications solutions to its private network solution offerings in Pakistan. SpeedCast International has been appointed by NEDA Telecommunications to build a satellite connected secured private network for a ministry office for the Government of Afghanistan. Epsilon subsidiary Cataleya has been selected by AWCC to deploy its Orchid One session and application management solution across the operator’s network. Digital newsstand Magzter is launching carrier billing as a new payment method for selling magazines on its platform in India. Telenor Group has commissioned Ericsson for the design and implementation of 4G/LTE networks and the transformation of existing 2G and 3G networks in Thailand, Bangladesh and Myanmar.